Home 2019 February 14 Why did the Airbus A380 fail? When Singapore Airlines took the A380 superjumbo for its first commercial flight in 2007, there was widespread applause that the future of air travel had arrived. But the Airbus programme, long-delayed and over-budget, never really shook off accusations that it would be a white elephant of the skies. So why did the world’s largest passenger aircraft, described as a “hotel in the sky”, fail after just 12 years of production? 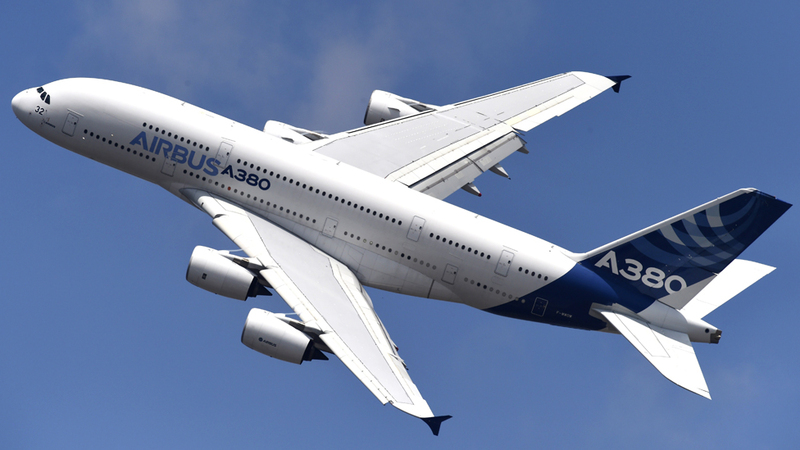 The A380, whose wings are made at Airbus UK, was a bold challenger to US rival Boeing’s dominance of the large aircraft market. While Airbus was taking a multi-billion-dollar bet that airlines would want big aircraft in the future, Boeing was developing its smaller, nimbler (and seemingly more successful) 787 Dreamliner. Carrying about 550 passengers – but with capacity for more – over a range of 8,000 nautical miles, the A380 was pitched at the fast-growing Asia and Middle East markets, where airlines were keen to fly more people per flight. The A380 also boasted more than 500 sq m of usable floor space, enabling carriers to offer plush first-class suites, as well as bars, beauty salons and duty-free shops. But after an initial surge of orders, especially from Dubai-based Emirates, demand dried up and the programme has never turned a profit. The whole programme is thought to have cost $25bn (£19.4bn) and has been dogged by controversies over subsidies from the French and German governments. Last year, the World Trade Organisation ruled that the EU failed to comply with requests to end state aid to the planemaker, ramping up trade tensions between the bloc and the US. As of January, Airbus had received 313 firm orders for the passenger version of the plane, of which 234 had been delivered. Its target was to sell 700 in total. Ironically, the double-decker planes are popular with passengers, but airlines have come to view them as inefficient. Some argue that the A380 is too large, making it unprofitable when too many seats go unfilled. And Willie Walsh, boss of British Airways-owner IAG, just last week suggested that the plane – while good – was too pricey. With fuel prices rising and campaigners questioning the environmental impact of aircraft, some airlines chose to opt for smaller, but more efficient, planes produced by both Boeing and Airbus. Some airlines preferred to wait for more details about Boeing’s new family of 777s – deliveries of which start in 2020 – which has fewer seats but the same range, more payload, and two fewer engines. Since 2005, a total of 57 firm orders for the A380 have been cancelled by airlines including Emirates, Virgin Atlantic and Lufthansa. A cargo version of the plane also never took off because of a lack of interest. Not surprisingly, speculation that the aircraft could be scrapped has swirled for years, although Airbus could have continued to produce the A380 in limited numbers, experts say. However, a decision by its biggest customer, Emirates, to downgrade an order appears to have forced Airbus’s hand.